Happy Wednesday, everyone! 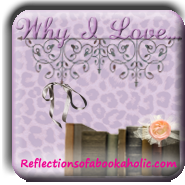 I’m back with Why I Love Wednesdays, hosted by Reflections of a Bookaholic. Today’s topic is Book Family! If you’ve ever read this blog, you know I love a lot of books. After much deliberation, I settled on the Earnshaw/Linton/Heathcliff family from Wuthering Heights by Emily Bronte. 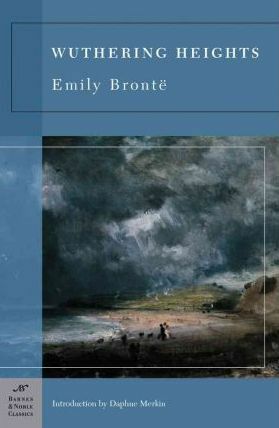 Now, even if you haven’t read Wuthering Heights (which you should–it’s awesome), you probably know a little bit about the story of Cathy and Heathcliff. They grow up together, fall in love…but Cathy says something that makes Heathcliff take off and when he comes back years later, she’s married. The whole story is really sad (and that’s a serious understatement). The whole Earnshaw/Linton/Heathcliff family is pretty messed up. Maybe that’s why they seem so real–or disturbing. (WARNING: major spoiler alert if you haven’t read this.) Heathcliff (he only has the one name) and Catherine (Cathy) Earnshaw are in love with each other. Edgar Linton is also in love with Cathy and when Heathcliff disappears, Cathy marries Edgar. When Heathcliff returns and finds Cathy married to a man he hates, he takes up with Edgar’s sister Isabella, whom he later marries. Cathy falls ill and dies shortly after giving birth to a daughter, who is also named Cathy. Isabella takes off on Heathcliff and he finds out years later that he has a son. He sends for the boy when Isabella dies, and later tries to marry his son off to Cathy’s daughter so he can have all of Edgar’s wealth. (He already has everything Cathy’s family had owned–her brother gambled it off to Heathcliff before he died.) Cathy (the daughter) and Linton, Heathcliff’s son (named for his mother’s maiden name), do marry and Cathy’s father Edgar dies shortly after. Cathy is forced to move in with Heathcliff, Linton, and Hareton, her cousin through her uncle Hindley Earnshaw. Her husband Linton soon dies and she’s left with just her father-in-law and her cousin, understandably miserable. Heathcliff eventually wanders off, thinking he sees Cathy’s (the mother) ghost, and he dies. Cathy (daughter) and Hareton decide to marry. Crazy, messed up family, right? This is the ultimate love web, and really takes the phrase “keep in it the family” to a whole new level. Reading this story reminds me that no matter how crazy some of my family may get sometimes, they’re no where near as crazy as the Earnshaw/Linton/Heathcliff family. Their drama is extreme–and that’s why I love them. I should have picked Heathcliff as my favorite villain last week. This is one family that frustrated me to the point where I wanted to scream. Great post. You and me both! They were so frustrating! I still love the book, though.